This program is run by Amy Tinetti, Women’s Health Physiotherapist and has been specially designed to positively affect your whole body and especially your Pelvic Floor. This is done through the improvement of strength, mobility, posture, flexibility and movement control. The program will work on strengthening your whole-body, using reformers, trapeze, light weights, stretches, and Clinical Pilates. 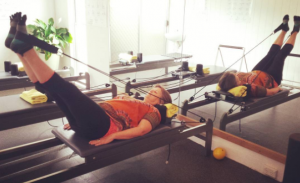 Amy will ensure all exercises are pelvic floor-friendly and incorporate activation and relaxation as per your unique requirements. To get started, you will undergo a one-hour private, whole-body assessment. 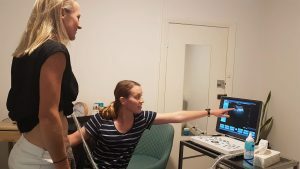 During this session, Amy will assess your pelvic floor using real-time ultrasound, review your past and current medical conditions, as well as your whole-body movement, strength, coordination, and balance. Following this, Amy will work with you to create a tailored program that helps you achieve your goals. You can then continue with either private sessions, or move into a small group consult. 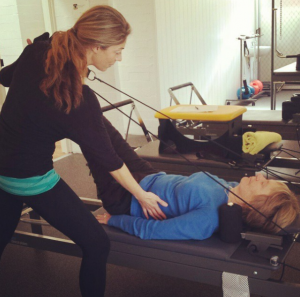 Clinical Movement Therapy involves specific exercises that improve the way you move. These specialised classes are limited to 4 people to ensure a personalised experience. Currently, they are run on a Tuesday 12pm and 3pm and Friday 11.30am and 2pm. To get started, click here to book your Initial Assessment or call us on (08) 6389 2947.